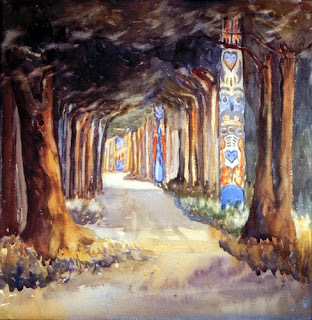 Emily Carr’s paintings are some of my favorites. She captured the essence of the Northwest in her work, and I’ve been fascinated with both the art and the artist for quite a few years now. 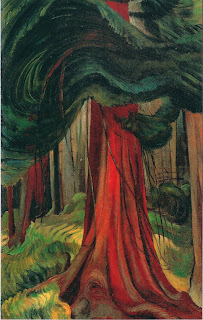 So for Sarah’s Art History Reading Challenge, I am reading Susan Vreeland’s The Forest Lover, based on Emily Carr’s life, and I just can’t get enough of this artist! My husband and I have seen some of her work while we were visiting Vancouver, B.C. 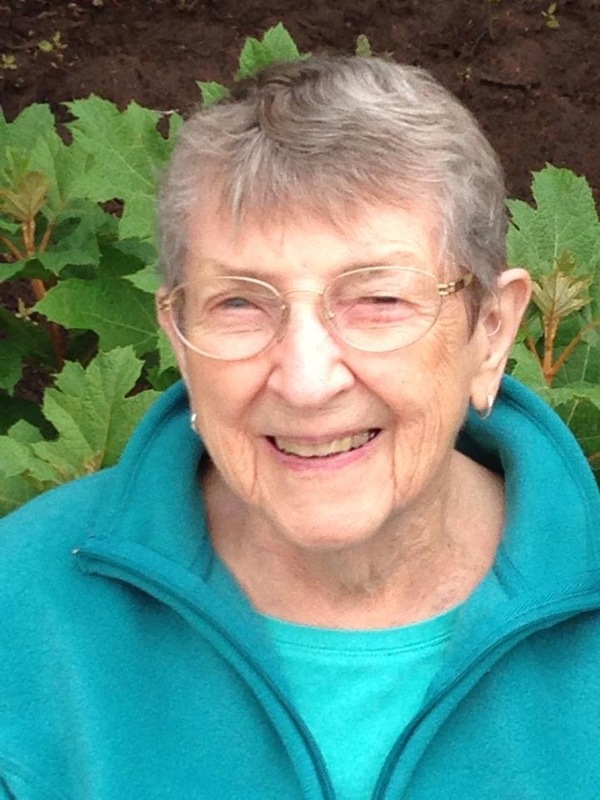 a few years ago, but we would very much like to go to Vancouver Island, visit the Emily Carr house and the museum in Victoria, and travel northward to see some of the places that inspired her! This entry was posted in Art, Challenges, Fiction on January 24, 2009 by Robin. Wow…those paintings are BEAUTIFUL. I think you’ve mentioned her before on your blog. I’m going to have to go check out some of her stuff. The paintings and quotes by Carr are lovely. I just mooched this book and will look forward to reading it as I think Vreeland really does a good job with stories about artists/paintings. I don’t know much about Carr at all so looking forward to this! I thought about this one, too, for the same challenge. I look forward to seeing what you think of it! Beautiful paintings!!! I LOVE those paintings. Especially the second one. Thanks for sharing, Robin. Wonderful paintings! I’m adding this one to my list of interesting biographies. Thanks! 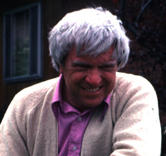 I found Growing Pains: The Autobiography of Emily Carr and discovered that the titles of some of Carr’s other books are intriguing, too. My goodness, the woman was prolific! Chris, I’m really captured by her right now. I’ve loved her paintings for a few years now, but didn’t know very much about her. She was quite a character! Thanks, Iliana. I like Vreeland’s books on artists and paintings, too. I’ve been wanting to know more about this artist, because I lover her paintings, and this book has been a nice introduction to her life/story. Lezlie, I’ve been interested in this artist for quite awhile, and I’ve read other books by Vreeland, so it was perfect for the Art History challenge. Nymeth, the more I look at her work, the more I find to love. Thanks, Jenclair. She’s a very interesting person … quite a personality! And, yes, she was prolific, driven. I’ll look for that book…Growing Pains sounds very interesting, too. Looks not only a great book, but some great artistry as well! I will say that I wish I could participate in the art history challenge, but I’m just not sure I’ll have time – and that makes me overwhelmingly sad! Thanks, wereadtoknow! 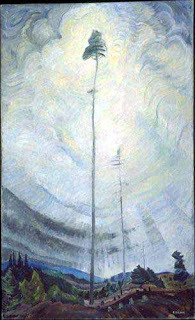 I’m really fascinated by Emily Carr and am looking forward to reading some of the books she wrote to see if I like her writing as much as her paintings! It’s frustrating not having the time to sign up for all the different challenges we’d like to do. I lost all my self-control and signed up for way too many in 2009, but we’ll see how many I’m able to complete. They just all sounded so good! And there are more I’d like to sign up for! You’ve shown one of my favourite paintings by her, the one of the tree reaching up into the sky. I used to live in BC, and in Victoria twice, and her work always reminds me of the BC landscape. Oh, I think I’m a little homesick now! Her work is powerful and always been among my favourites too. I saw a retrospective of her work at our National Art Gallery 3 years ago, and it was amazing to see so much of her art together. 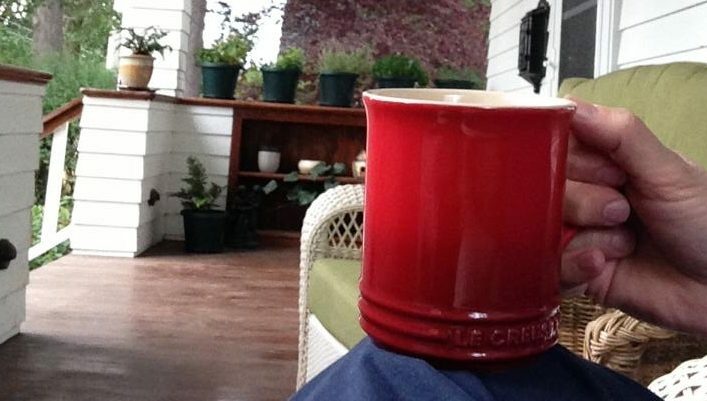 thanks for your post, so much, Robin! 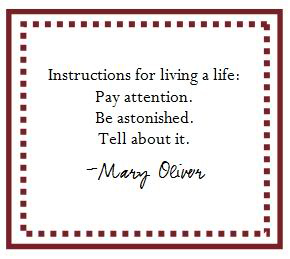 Oh – read her biographies too, long ago, Growing Pains was a fascinating account of the formation and determination of a woman to be an artist and paint what she saw in the landscape. Thanks, Susan. You were so lucky to see a retrospective of her work! We’re hoping to go to Victoria soon and visit her home and the museum there. We also need to head back to Vancouver. 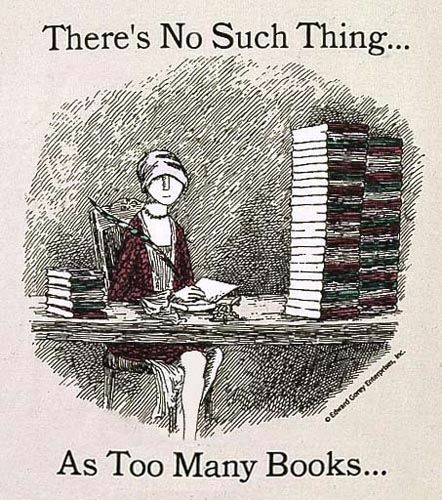 And I definitely want to read her books! Growing Pains sounds like a good one to start with. Thanks for sharing the paintings, they are beautiful. I love trees and all things tree realted randomly. How delightful to find another woman who loves Emily Carr! Rhinoa, I love trees, too…which is a big reason that we’re living in the Pacific Northwest! Teabird, I can’t get enough of her now! I’ve just ordered two of the books she wrote, and I’m dying to go north to see some of her paintings in person! !